Roxbury High School plans to partner with Four Diamonds for its sixth year next year by hosting an all-night dance-a-thon. The 6th Annual Mini-THON is set to take place on March 15, 2019 at RHS in Succasunna from 7 p.m. to 7 a.m. Participants are required to stand for 12 hours straight during this dance marathon, which includes dancing as well as games and live performances to keep everyone entertained for the lengthy time. Last year, it brought in more than 400 participants and raised about $50,000. This year’s goal is to break $80,000. Four Diamonds is a non-profit organization that raises money for Penn State Children’s Hospital. Its goal is to end cancer through research and to also help families pay for medical bills. To prepare for the Mini-THON, RHS holds other fundraisers throughout the year. However, this is the first time they had an actual fall festival. Taggart went on to mention Matt Adonis, a local student who over the past couple years was diagnosed with brain cancer, and remembers how the town got involved with pediatric cancer. As Director of Hospitality, Taggart and her committee reach out to local businesses for monetary and food based donations. Also heavily involved in the planning for these events are fellow juniors President Victoria Gonzalez and Director of Entertainment Ryleigh Coakley. All three of them have been involved with the Mini-THON since freshman year. 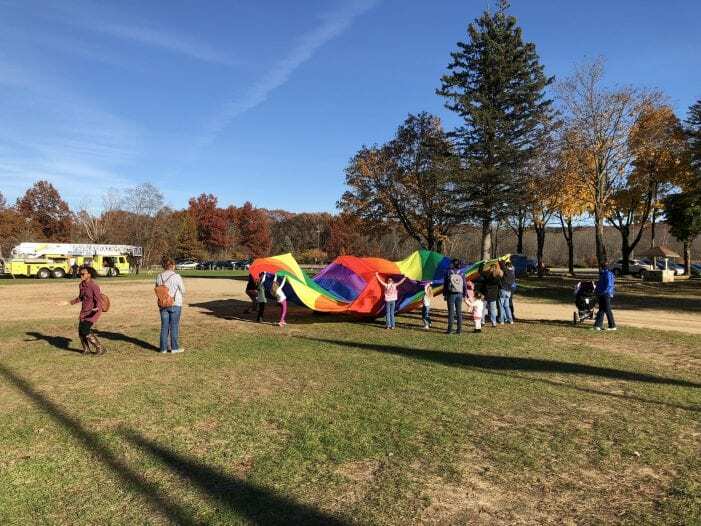 The RHS mini-THON Fall Festival took place on November 4 at Horseshoe Lake from 2 p.m. to 6 p.m. Everyone was welcome, though it was mainly geared towards the elementary school students. 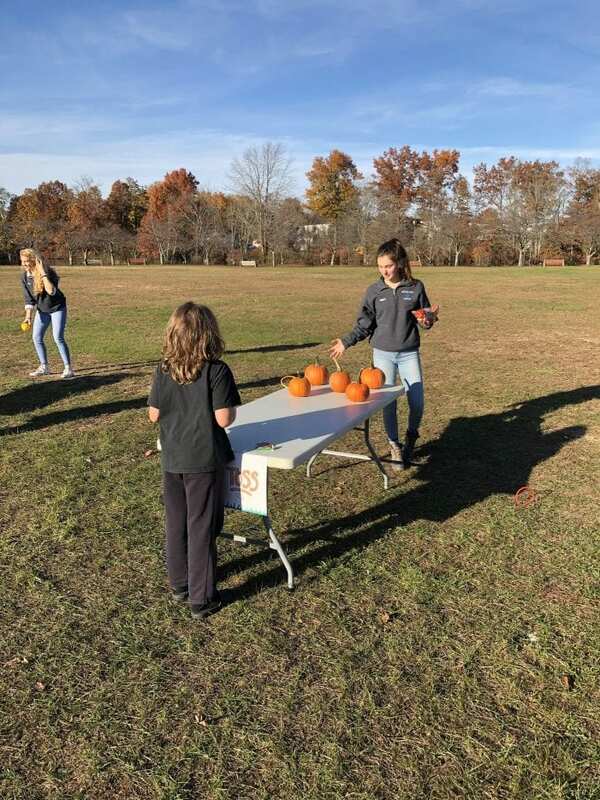 Activities included pumpkin painting, face painting, pumpkin picking, arts and crafts and games like pumpkin toss and apple bobbing. Also featured was a bake sale and a fire truck. The entry fee was $2 per person, free for children three and under. However, those looking to participate in activities were required to purchase a $10 wristband. “It was a really good event for our first year!” says Taggart.